UPDATE: The FCC informed me today (11-30-12) that the agency did find the pleadings and they were received on time. of free airtime while not allowing any supporters of his opponent Tom Barrett on the air. 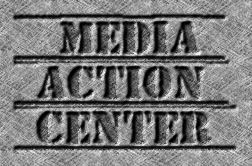 The public interest group Media Action Center (MAC) was informed its license challenges will be delayed because the FCC cannot find the legal pleadings, even though the agency had signed a receipt accepting them earlier this month. The deadline for the FCC to respond was thought to be Dec. 1. Sue Wilson, director of MAC, says it is only because reporters started calling the FCC asking questions about the license challenges that the problem came to light. After sending Peter Doyle, Chief of the FCC Media Bureau's Audio Division, proof that the Office of the Secretary of the FCC had indeed signed for the documents, Doyle asked that she resend the documents this week. "Mr. Doyle is working with us to accommodate our filings, but it is clear the FCC is more geared for working with corporate lawyers than the very public it is sworn to protect," said Wilson, who confirmed she carefully followed the instructions for filing Petitions to Deny on the FCC website. 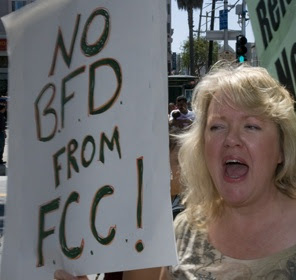 "In my film Broadcast Blues," explained Wilson, "we documented how the FCC takes years to respond to Petitions to Deny, if there is any response at all. 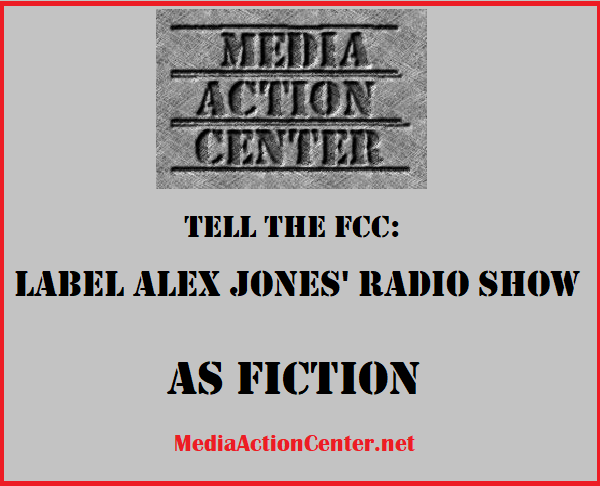 The agency pays so little attention to them, it cannot say how many license challenges are pending before them, and the FCC does not even know when it last took away any station's license to broadcast for any reason. The Petitions to Deny station licenses are the only means the public has to hold TV and Radio stations which are behaving recklessly accountable to the public interest, and we are standing up for our rights as the true owners of the airwaves." MAC conducted a comprehensive study in May/June of 2012 – during the Scott Walker recall campaign – which clearly showed the two stations each gave supporters of Gov. Walker and the GOP about 80 minutes of free airtime daily on their local talk radio shows, while refusing any access to supporters of Mayor Tom Barrett and Democrats whatsoever. This, the challenge asserts, amounts to private censorship, which violates the First Amendment rights of those in the community who are denied access to the scarce publicly owned airwaves during campaigns. It further states the stations willfully have violated existing FCC rules about comparable time, citing legal opinions from the Wisconsin Broadcasters' Association. 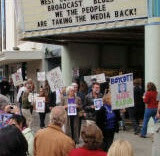 "Broadcast stations have a unique duty to serve the entire public, especially during campaigns," explains MAC director Sue Wilson. "When a radio station uses its giant microphones to cheerlead for candidates of only one political party, no matter which political party it may be, it violates the First Amendment rights and public trust of the entire community.